Personal Care – AlfredHouse Assisted Living, Inc.
At AlfredHouse, we believe that the foundation of great care rests on generous numbers of capable, committed and well-trained direct-care staffing. Abundant staffing above industry standards allows us to offer the safety, service, care and consideration your family expects and deserves. Our Personal Care services focus on independence through customization. 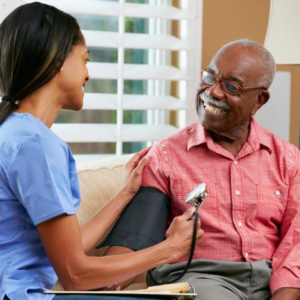 At AlfredHouse, we provide tailored care plans that are centered around residents’ specific needs, including medication management, dietary needs, activities of daily living, recreational activities and more. With our 1:4 care provider ratio, geriatric specialists, and commitment to personalized patient care, AlfredHouse is committed to enriching the life of your loved one and providing you and your family with the peace of mind you deserve. Please contact us to learn more about what AlfredHouse’s personalized care can mean for you, today! When it is time to explore assisted living, let the path from your house lead to our house…AlfredHouse.